Most people understand the general concept of trauma but don’t necessarily know the scope of it or the depths and impact it has on a person’s psyche in particular with emotional trauma. Emotional trauma is a form of abuse that is often dismissed by friends, family and sometimes even healers, therapists and psychologists (shocking I know). It can even be disregarded by the victim themselves! Emotional trauma is created when your emotional needs are neglected. It can be caused when your emotions are dismissed and your feelings completely disregarded and disqualified. Whatever you feel is basically treated as not important by those closest to you, not acknowledged, belittled, made to be shameful or wrong as well as said to be exaggerated. Because of the nature of this type of abuse being more subjective since it’s your words and emotions against theirs... Emotional abuse is something that can go on and on undetected and yet it has one of the most profound negative effects on the victim's psyche for years after. The aftermath of emotional abuse ripples out and can affect every area of the victim’s life; love & relationships, money, career and yes physical health too. It has the ability to literally destroy every ounce of self-esteem you have, leaving you feeling helpless, hopeless and what’s worse feeling like there’s something wrong with you. These deep wounds, that most people are not able to heal, that is also embedded in physical trauma, is ALWAYS emotional hurt, pain and invalidation. Beneath the beating is humiliation and powerlessness. Under neglect is worthlessness and the pain of not being seen. Buried in sexual abuse is shame. Thrown into verbal insults is the wound of not being good enough. Mix in some mind games of denial by the abuser and you become the paranoid crazy one! And I’ll tell you if you manage to survive all that, you’re not just a survivor, you are a flipping ‘psyche' warrior! Emotional abuse ALMOST destroyed me. In fact, it made me want to destroy myself. Everything I thought I had anyway, but it did not take my Soul. And when I finally reached rock bottom, thinking it was the end of me.. So when a client comes in all sheepish, broken, feeble and a little paranoid, I feel it in my bones, I see it all over their energy field and can sense the signs a mile away. My “mama-bear" therapist comes out in rage wanting to protect and defend them and their sanity. To hold up their boundaries while I support and guide them in rebuilding their own. That is merely the barrier to your true self-emergence. So I stand as a guide, an anchor for those who choose to dive into this darkness of emotional pain that feels like it has no end. As I have always said, the only way out is through! So if you sense there is still something there but can’t put your finger on it, if something just feels off because there was nothing “physical” or severely traumatic in your adult eyes, consider emotional trauma and/or abuse. Perhaps it was subtle or covert. 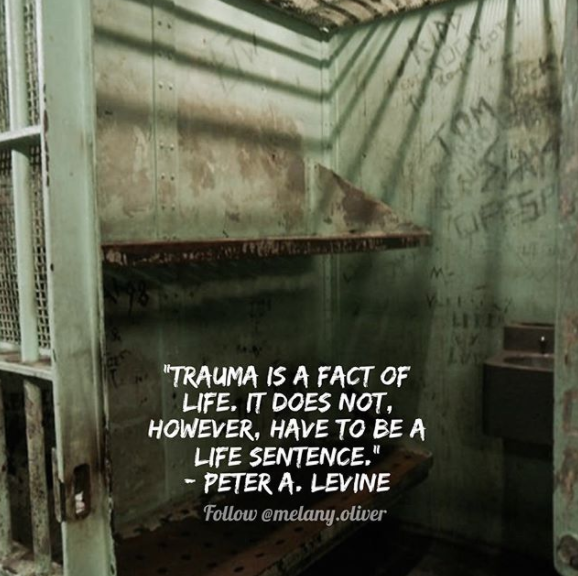 Or maybe it was as consistent or severe, nevertheless, trauma is trauma. So don’t dismiss it or it will control and direct your entire life. Emotional abuse being undefinable and subjective is the main reason it is very often dismissed or not taken seriously. Emotional abuse that happens repeatedly, even daily for years on end is complex as it’s not one single event. This is in fact now known as CPTSD; Complex Post Traumatic Stress Disorder. The complexity of this type of emotional trauma means that the healing also needs to be multidimensional. You need to acknowledge and process the emotion, reprogram the subconscious, rebalance the body, restore the damaged psyche amongst other things. So no wonder it took me 10 years of learning all the modalities out there to finally heal, little by little. It’s not easy, but it sure as hell is worth it. You unconsciously want to be acknowledged, you say and do things to be pleasing to anyone who comes your way to get this approval, sometimes and often to your detriment. This plays out as being a people pleaser. Your actions, your behaviours and even your decisions can be influenced by this need to be liked, accepted and belong. You may even neglect your own personal needs to put other’s needs first, constantly going out of your own way for others. You were actually programmed to do this. You are basically validating your feelings, thoughts and beliefs about yourself from others. This stems from emotional neglect and invalidation as a child. The trauma of not being seen or acknowledged emotionally as a child is what keeps your wounded child constantly looking for someone to “see” you and validate you. It is the pain of not having your emotional wound acknowledged that you are trying to compensate and have seen in order to validate yourself as a human being and your worthiness. And this is the trap. Whether it is at work, from friends or from a loved one, you must approve of yourself from within. There may be a tendency to deny this painful truth, to say your parents did the best they could and yes I’m sure they did. Nevertheless, the emotional pain you feel is there so if you cannot accept this truth of not being validated at some point then you may never fully heal. Acknowledge the depth of this pain accept this hurtful truth and you will be set free. You basically lack self-esteem which creates all the self-doubt.Your self-esteem was chipped away word by word repetitively and perhaps over a long period of time. Contrary to the saying “sticks and stones may break my bone but names will never hurt me”, words are extremely powerful. Verbal abuse can break your heart. Verbal insults do hurt - physically. This has actually been scientifically proven but I won’t get into this now. 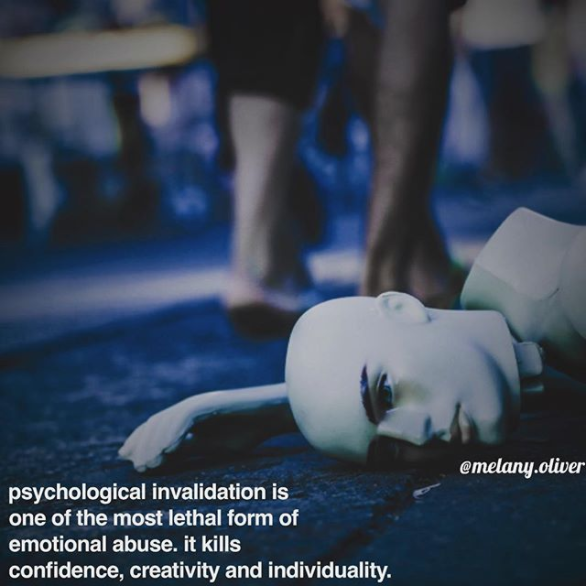 Having your emotions constantly invalidated is another core cause of self-doubt and low self-esteem.Verbal abuse in childhood will imprint the child’s psyche with all those words since your subconscious is still in process of development. Verbal insults, in particular, will create the negative voice you hear inside your head. This then leads to an inner critic in adult life which is constantly working against you, putting you down and saying horrible thoughts about yourself inside your own head… all the time! This negative voice inside your head, in essence, is not yours. It’s what your parents or the abuser made you believe about you. Instead of healthily moving forwards and growing, you will be doubting yourself, your abilities, always feel insecure and never believe in yourself enough to go after your dreams. You have unconsciously agreed to the verbal insults. You have bought into what “they” said about you. And now it’s inside your head. To quieten this voice takes dedication, persistence and patience. It takes repetition. You will have to constantly remind yourself that those are not your thoughts and reprogram your subconscious mind with new more positive and healthier thoughts about yourself. 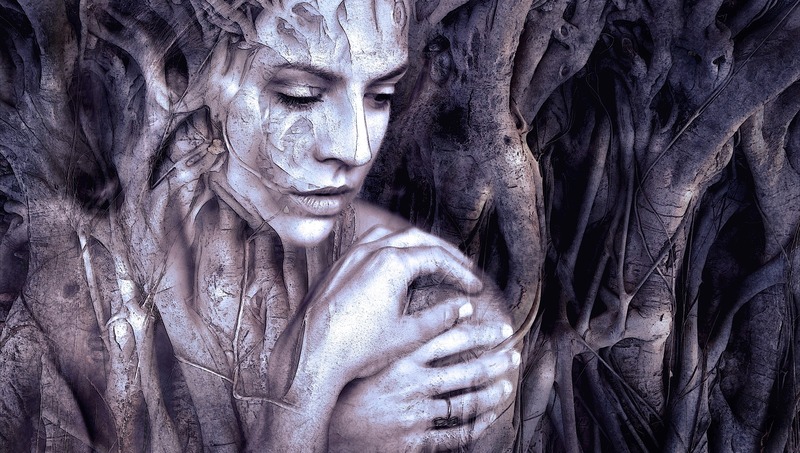 Before reprogramming though, the emotional wound must be processed and acknowledged, otherwise, you can reframe and say affirmations all you'd not ar because the wound is still within you. Validate that wound, know that you are enough and start your positive affirmations to wire that beautiful mind of yours for success, health, wealth and happiness. You are worthy. When you react to a person or situation and it’s a full-blown behavioural and intense visceral feeling, meaning you really feel it in your bones and are over-taken by the emotion, you are actually experiencing an emotional flashback. This is NOT feeling a negative emotion because you have been clearly betrayed or had your boundaries violated in the moment. Feeling negative emotions is a natural response in situations like these and is appropriate under these circumstances. An emotional flashback is different in the sense that it’s an over the top reaction, explosive, dramatic and almost like the emotion takes over your whole persona. Sometimes for something that is actually, dare I say it, not that bad. Looking back you can see you overreacted. You explode in rage, anger, drama and all those old emotions rise to the surface. You are actually protecting the wound with your reaction, trying to defend yourself. Know that this is all psychological. Most people are completely unaware this is happening. Very often the underlying feeling is one of injustice, it’s not fair and feeling victimised once again. You must start noticing what triggers you, this is the first step in healing this sensitivity. Write down your triggers and ask yourself how it makes you feel. Get clear on the actual emotion. Trace the emotion as far back as you can to explore the cause of these triggers. Do your best to realise you are “reacting to the past” and not to the “present”. Bring yourself and your awareness back into the now. Breathe. Be conscious. Stay present. Know that you must go back and heal these deep wounds in order to stop being highly triggered. Once you have processed that wound, you will have nothing to protect and hence you will no longer be triggered. There are many other signs of emotional trauma and abuse, I was initially going to 5 signs but I realised this was getting a little long! To give you an idea, other symptoms include things like paranoia, depression, social withdrawal and isolation, lack of boundaries or an inability to say no, being emotionally dependent or co-dependent as well as over intellectualizing. If you think you have some or any of the above, get in touch, I would love to support you on your transformational journey! All techniques and information I share are considered coaching, self-help or complementary therapies. I am not a licensed psychologist, psychiatrist or medical doctor, I have a degree in Health Sciences in Complementary Therapies. Everything I write and talk about comes mainly from my own experience in healing myself and the tools, techniques and resources I learned throughout my own inner journey. 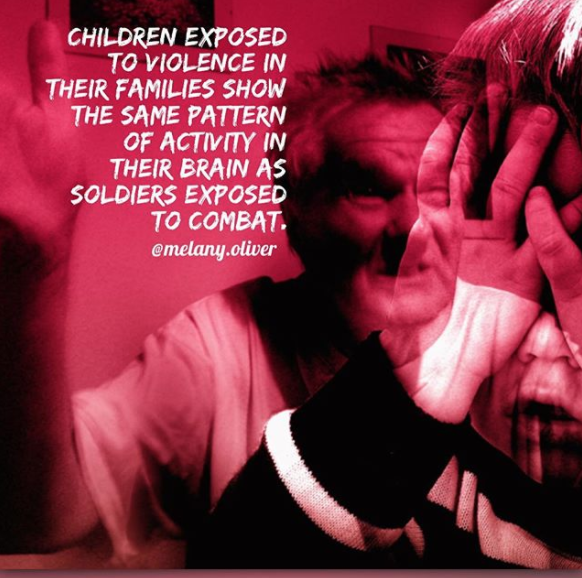 Click on the images below for more insights on emotional trauma. Follow me on Instagram (click here) and Facebook (click here) for daily insights and inspiration. I agree, the wealth of information, your understanding of subject matter is outstanding. Thank you. Emotional trauma can feel quite frightening when we are not use to feeling such high emotions and experiencing triggers from past issues, from childhood and in adulthood. It can occur in any time of our life and there can be many reasons, experiences and events of past traumas arising. It may be that it is one past event or several or more, each person is unique. Healing in itself is very personal and it takes much courage to open up to our inner hurts and allowing our self to grieve, feel without shame or guilt. Suppressed emotions can take time to process and understand, it is little and kind steps with our self and self care is so important when going through any healing. The little things can be so important when we find our self going through emotions that we are not used to feeling. I buy myself flowers, something I would never do, yet it self soothes me and is my way of self care. Hi! I’m feeling exactly the same. And had the same question.. it literally feels like it’s never gonna stop.. initially I thought that once I release the emotion through crying it will be gone.. but it turns out to be the exact opposite.. it feels like i am feeling the pain of not just my childhood, but the past lives included. Same here….one wonders how to release the trauma. Acknowledgement is for starters. Acknowledgement is definitely a start! There are many different processes and layers you need to work on. Trauma will be stuck in your mental, emotional, physical and spiritual body and I focus on all these layers using different methods and processes. Also for the body, you can use something like TRE – Trauma Response Exercises, it’s a whole method you can check it out. For the emotional layer, you must do emotional processing and work on healing your deep emotional wounds which all stem from childhood from my experience and this I believe is really the foundation. For the mental layer, you work with the mind, reframing and using techniques to shift your thinking – from my experience I do this before emotional processing to release resistance to healing and after to align your thoughts. For the spiritual realm, it’s pure energy healing, I work with my spirit guides on this one and they show me and work through me. I’m sure there are many other ways and healing methods I possibly don’t know about but I hope this helps. I am experiencing terrible terrible physical pain. Because of this all of my past trauma has bubbled to the surface. I have the night terrors and nightmares. I can’t sleep or eat. I am a mess again. I don’t understand what is happening to me. I am looking for a safe place. You should look into TRE – Trauma Releasing Exercises, it’s a whole method created by Dr Berceli. This may help with the physical pain. For the more emotional / mental part of the trauma, I would suggest you seek professional help, someone that can hold the space for you to heal on this journey. Perhaps start with some gentle energy healing to balance your chakras and clear your aura and once you feel more centred you can dive into the deeper rooted emotional wounds that need processing. I know it’s not easy but it sure is possible and worth it. Just feel there is no way out. Twenty years with ptsd, and so many more years of abuse I can’t even process. Homeless three years. The streets are dangerous. Thank you for this…I thought I was reading something written specifically for me. I already accept the fact that, I was taken advantaged of and abused emotionally.. But couldn’t stop wishing and praying for everything to get better and back to how it was before. I really can’t stop thinking of her.. Sometimes I cry cry and nothing sort out.. It’s just getting worst. I don’t even know how to explain my situation. You should look into something called “trauma bonding”. You can also check out Ross Rosenberg and Richard Grannon, they have a lot of good information on the topic of narcissistic/emotional abuse. I’m sorry to hear about your childhood experience. That’s beautiful how you prayed and received healing. I have found from my own journey that grieving is the key, at the bottom of all wounds is grief, grief of not being and feeling loved/acknowledged etc so you’re definitely on the right path. I do believe that we can fully heal, having said that I am still a work in progress 🙂 These patterns are extremely deep so you are right it can take years to work through. Sending you lots of love, light and blessings on your journey. Hi to every , because I am genuinely eager of reading this blog’s post to be updated regularly.